Zart Paper Magiclay may be used to build up areas onto a 2D surface, creating texture and form. 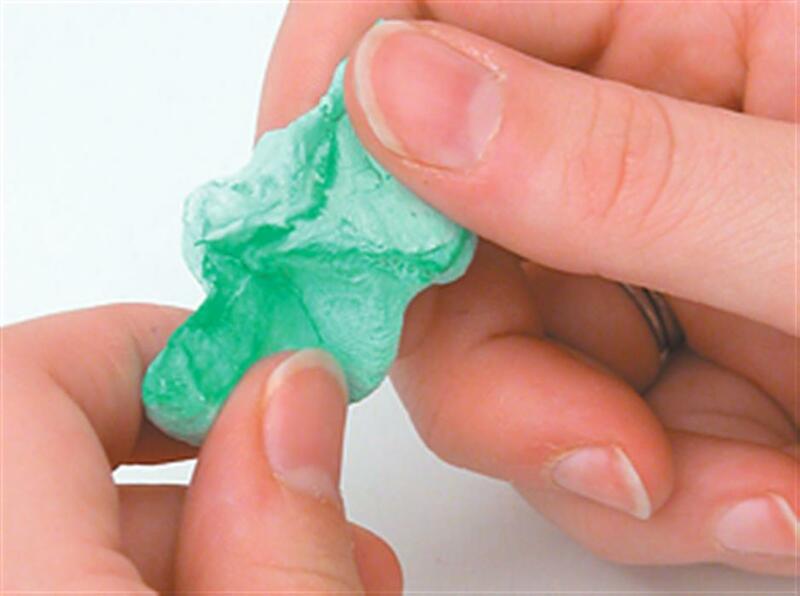 Rolling tiny balls of the Paper Magiclay to form coral, or draping the Paper Magiclay to look like flowing seaweed may create an underwater reef. The Paper Magiclay may also be shaped into cones or pulled and allowed to spring back to form kelp like strips. Press beads into the clay for details as well as wires or take an imprint of fabric or netting for an interesting effect. The Paper Magiclay may be built up in areas to give dimension. When dry the Paper Magiclay may be painted to create colour. Any waterbased paint will adhere as easily as painting on paper. Pearl paint also enhances the underwater effect. Take a small portion of the Zart Paper Magiclay and add a small drop of paint to it. Knead through the clay until the desired colour is reached. 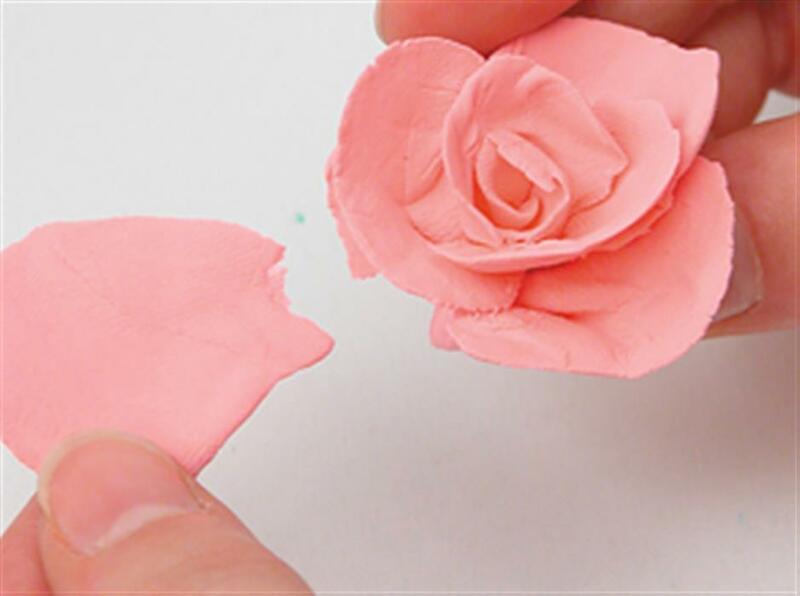 Shape petals by pushing the Paper Magiclay with your thumb or finger thinly onto a table top or hard surface. Once you get a very thin petal shape allow to sit and stiffen for a few minutes. Start with a small bud in the centre and build up the petals in a circular fashion around the central bud. Shape the petals to open out, as the flower gets larger. 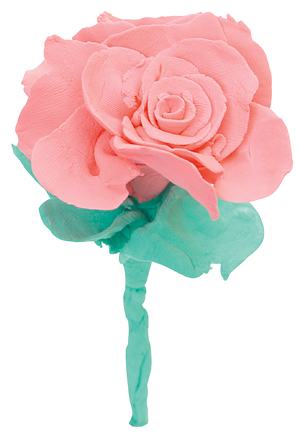 Insert wire into the flower to create the stem and then add leaves. When you reach the desired size, allow to dry. 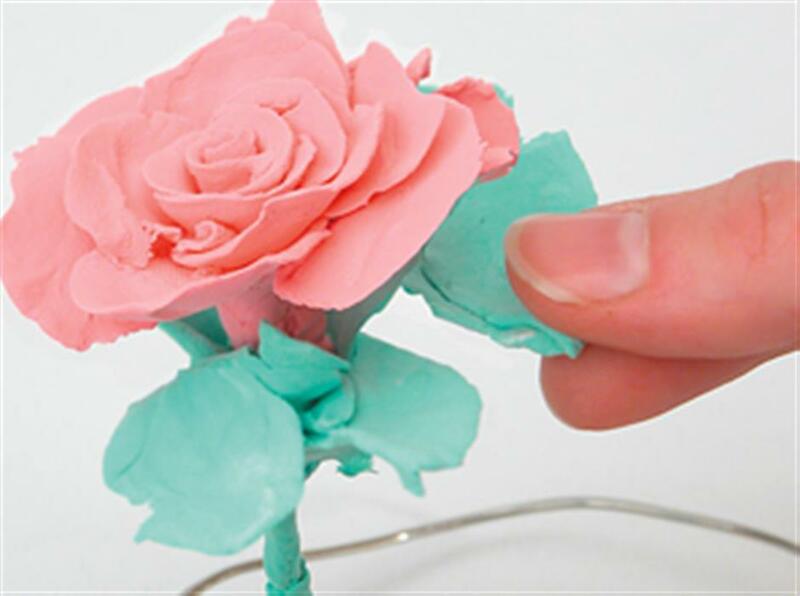 You will have a beautiful and delicate hand created flower with paper thin petals, these can be scented with a few drops of essential oils.